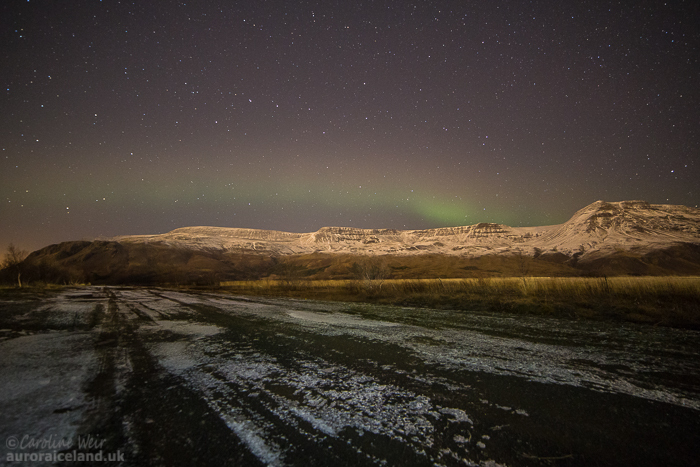 Another nice but very low aurora in the north this evening. 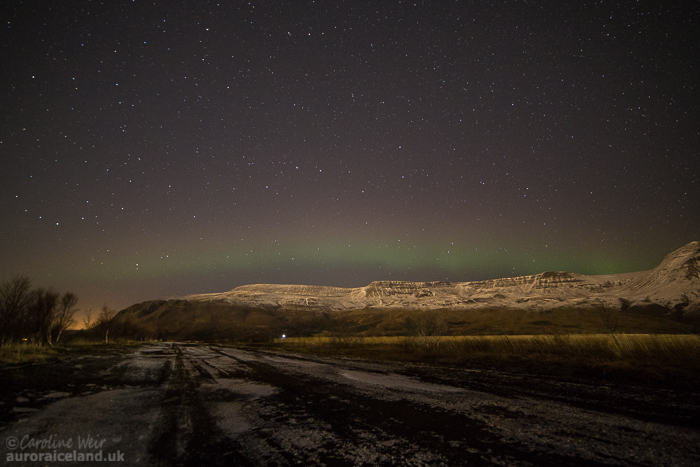 A little bit frustrating to have these very small auroras while the sky is so clear, but c’est la vie! As last night, the green arc of aurora had a clear purple top on camera. Image 1. 21:41 UTC. Settings = f/2.8, 14 mm, 12 sec. Image 2. 21:51 UTC. Settings = f/2.8, 14 mm, 17 sec.